Previews | Denkiphile. We Like Games. One of the least revolutionary genres of video games tends to be the racing genre. There isn’t much room for innovation from the gameplay/design aspect and the majority of changes rely on enhancements in cars. But Ubisoft has decided to break out of the mold and make a truly unique racing game with Driver: San Francisco. We’ve decided to give the demo a shot and see what we can expect before the full game is released. While at Anime Expo, NIS had the latest build of Bleach: Soul Resurreccion on display at their booth. I stopped by to check out the anime’s foray into the hack-and-slash genre, which should have happened long before. So far, the game is looking great and we can’t figure out why it never existed until now. Recently, Atlus invited members of the press to sit in an online conference for a demo of the upcoming Catherine. In it, we got to see some of the upcoming game’s features, such as how Vincent’s decisions will affect endings and some of the game’s multiplayer modes. The Darkspore beta is currently available on steam and free to try for anyone interested. Brought to us by the same people who made Spore, it combines the gameplay of dungeon crawlers with the creation system of Spore. 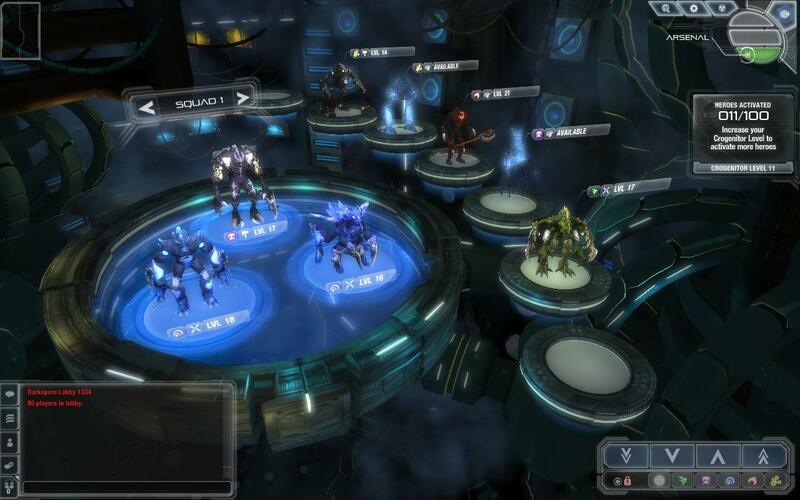 Players can customize creatures and create squads of up to three to bring on missions to clear out hordes of enemy darkspore minions.